Natural gas. In recent years, when hearing this single, seemingly minor detail for a property’s utility hook-up, buyers typically conveyed a tone of excitement. Nationally and in recent history, natural gas has been the leading choice for heating fuel in the U.S. residential property space; however, according to the U.S. Energy Information Administration, electric heat may be gaining ground. Is affordability the only stimulus, or are other factors at play? Here’s what could be causing a possible disinclination toward natural gas heating. Although rare on a large scale—there have been 646 incidents related to natural gas distribution since 1998, according to the U.S. DOT Pipeline and Hazardous Materials Safety Administration—gas explosions and other related incidents do occur. Recent events may be causing buyers to hesitate with homes that are hooked into a natural gas pipeline. Just last month, a large area of Merrimack Valley, spanning the towns of Lawrence, Andover and North Andover in Massachusetts, experienced a catastrophic gas line explosion that led to the death of one resident, injuries for around 25 individuals and the damage or destruction of over a dozen homes and businesses. Over 8,600 residents are without gas heat and hot water (at press time), and the restoration may be a months-long process. The culprit? Natural gas pressure that was 12 times above the normal level before the explosion, according to USA Today. Columbia Gas of Massachusetts, which handles the distribution of gas to these neighborhoods, is currently under investigation by the National Transportation Safety Board. March 2015: A service line managed by Columbia Gas of Ohio was improperly abandoned in upper Arlington, Ohio, causing a natural gas explosion that sparked a fire and caused $9 million in structural damage, according to the Public Utilities Commission of Ohio. The gas line had been “out of service” since 1960, but was never unplugged or sealed from the gas main. November 2012: A service line managed by the Columbia Gas of Massachusetts company exploded, injuring 21 people and destroying a building in Springfield, as well as heavily damaging a dozen other buildings and blowing out windows in others. This event reportedly occurred while the company was investigating the source of a gas odor, according to a Securities and Exchange Commission filing. December 2012: An interstate natural gas pipeline that was operated by Columbia Gas Transmission (a subsidiary at the time) exploded in Sissonville, W. Va. The explosion sparked a fire that destroyed three homes and propelled a 20-foot section of the pipe over 40 feet from its original location, according to a report by the National Transportation Safety Board. The event was reportedly caused by the external corrosion of the pipe wall, which had signs of deterioration and had not been inspected or tested after 1988. Additionally, health scares may be causing an aversion toward natural gas heating. While exposure to low levels of natural gas should not be a concern, long-term exposure can lead to headaches, dizziness, nausea, eye and throat irritation, fatigue, breathing problems and pale skin or blisters, according to HealthLine. Opinions are split on whether gas lines near homes, specifically main lines with easements, affect a home’s property values. 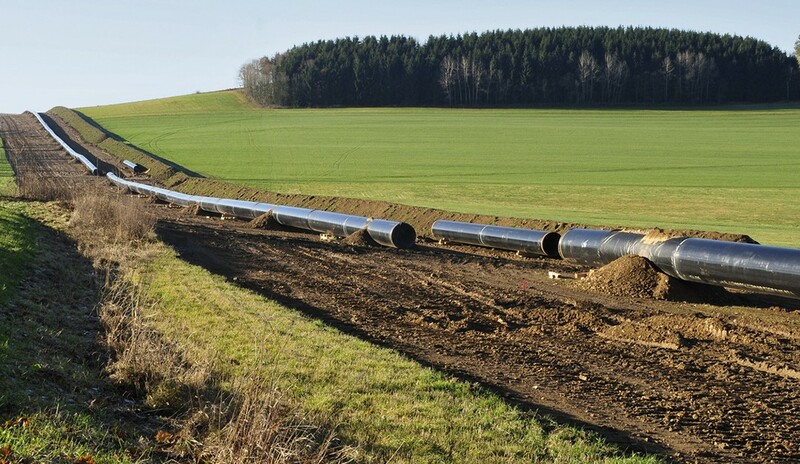 Multiple studies defend either side; however, the majority of studies claiming gas pipeline easements do not negatively affect a home’s value are conducted by gas companies themselves, injecting the question: Are the results biased? According to one source, the Forensic Appraisal Group, pipeline easements can reportedly create negative impacts ranging from 50 percent of the easement land value to 30 percent of the entire property value. What can impact a home’s valuation? According to the report, there are several stigma factors, such as potential damage to irrigation systems and wells, damage due to crop loss, soil compaction, stray voltage, and more. Properties constructed near one of the larger transmission lines that feeds the gas distribution network may have more trouble selling than homes that are merely hooked up to an extended network of natural gas distribution pipes. Could there be additional causes for concern above those listed by the Forensic Appraisal Group? Gas pipeline easements, depending on local laws, may affect the use of a property; residents may not be able to build permanent structures or plant trees directly over easements. Additionally, if the gas company needs to repair the pipeline, they would most likely have the right to dig up the homeowner’s yard. How can consumers stay well-informed during the homebuying process? They may have to do their own due diligence. However, Pool said if the seller hasn’t been told of the pipeline’s existence, they can’t be held accountable if they fail to inform the buyer. This is yet another obstacle that agents may face during today’s real estate market. A little research and powerful scripts can help turn these concerns into actionable strategies. What can agents do? Is the property near a main gas pipeline, and is there an easement attached to the home? Has the neighborhood been inspected and audited recently for care and quality? Corroded pipes can lead to gas leaks. Are there any natural gas-related sources that can be provided to the consumer to educate them and directly address concerns? Lock down scripts that will help sellers and buyers feel at ease about the transaction. Being honest and open about the situation will ensure they are prepared for all scenarios. And if there are concerns, a predetermined script can let them know that their agent is working on their behalf to get as much information as possible, so they can make an informed buying or selling decision.